Lot Two was the second lot in the Eastern section of Stanfield Bushey Parks 2008 sale and cost $27,000 He cut 11.4 kg of HH and 21pts after the sale. This is the heaviest head ever cut post sale at Stanfield. His head did not progress as well as hoped at 3 but at 4 he has grown a long powerful head scoring 409 IOA. 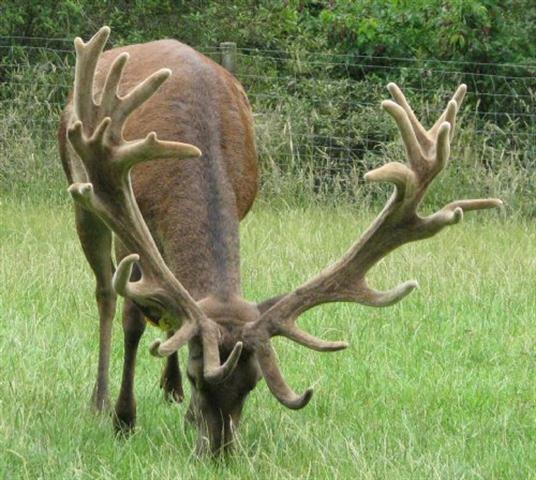 A good breeder and a delightful, placid stag. A 2year son has cut 4.7kg SAP velvet this season.